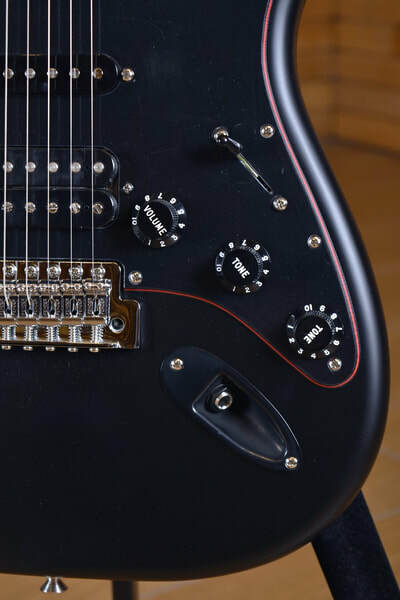 Other Decals, front: Red "STRATOCASTER"
The Special Edition Stratocaster Noir HSS guitar combines legendary Fender tone with classic styling. 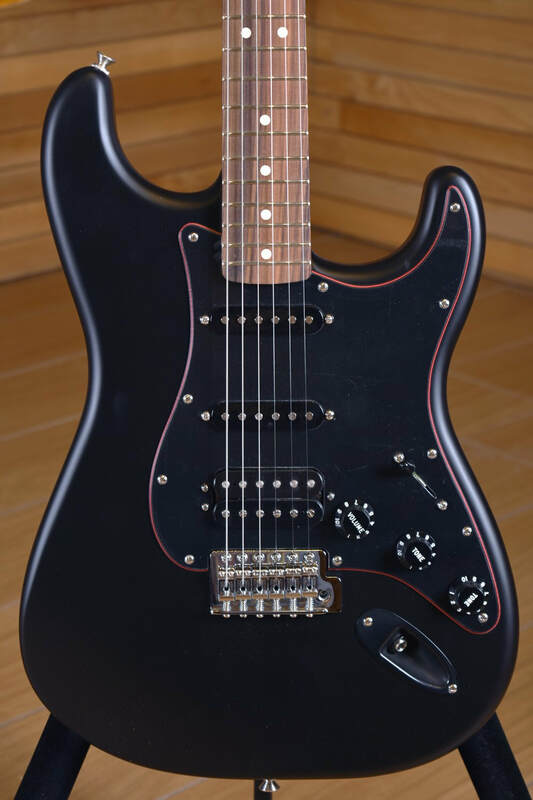 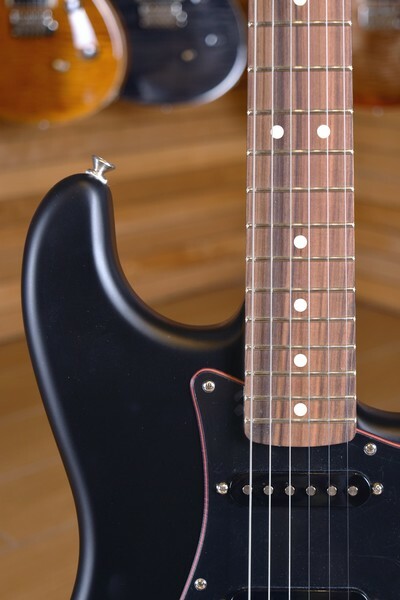 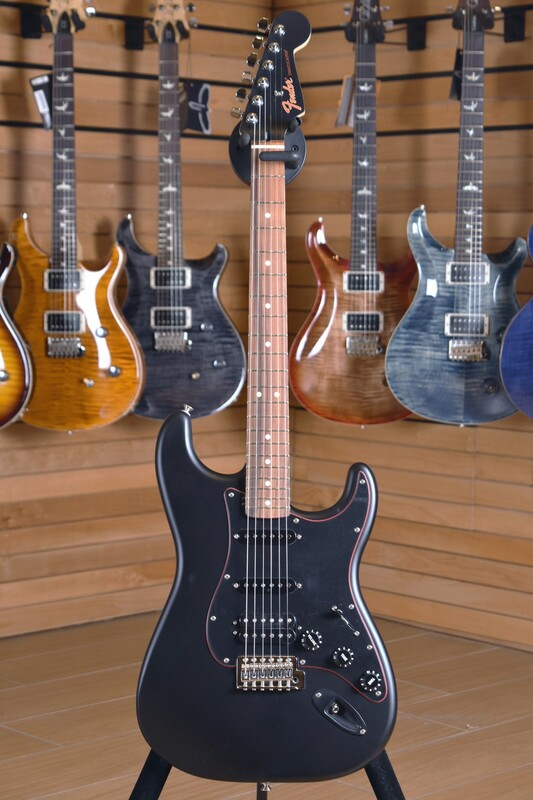 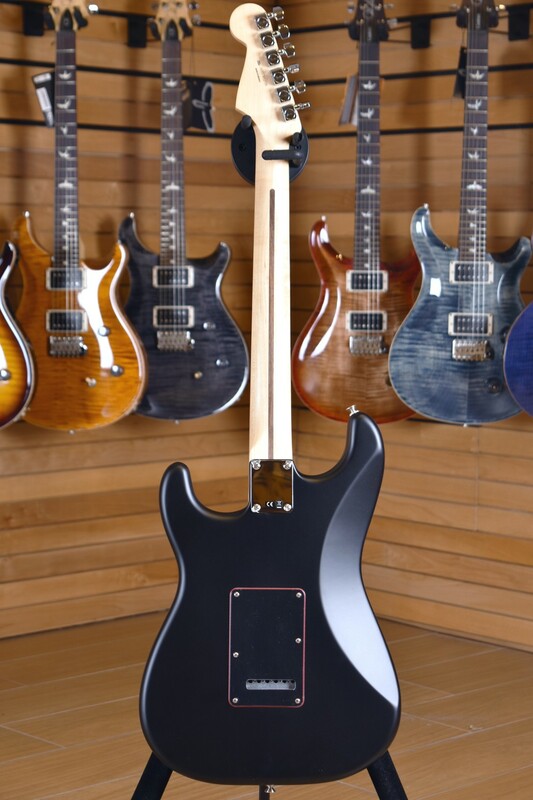 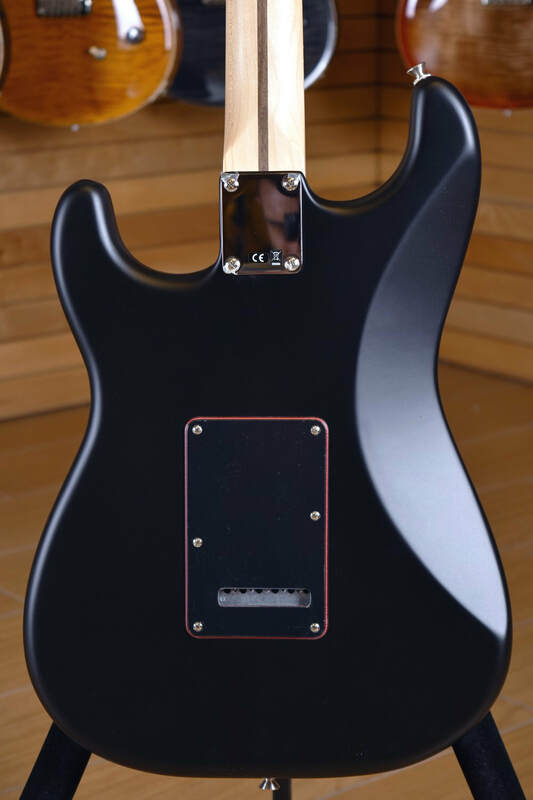 Now available in a Special Edition Satin Black finish with matching headcap and unique Black pickguard with striking Red center layer, this elegant and affordable classic also includes a huge sounding humbucking bridge pickup. 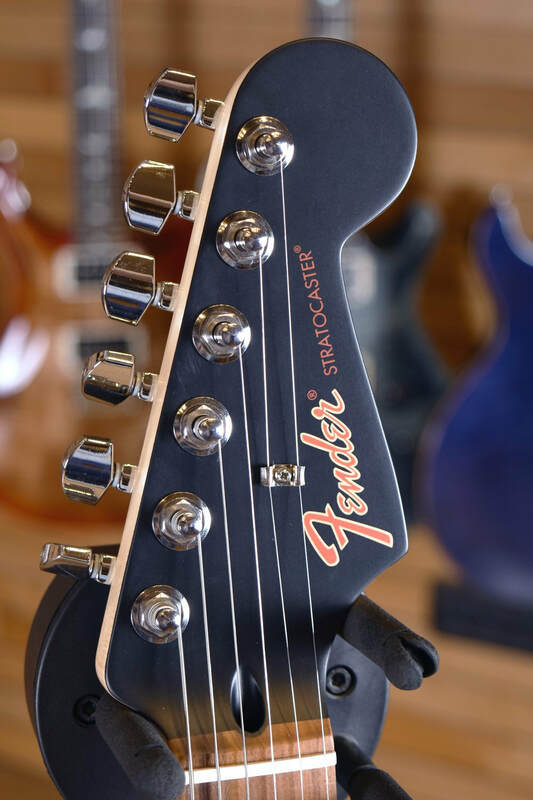 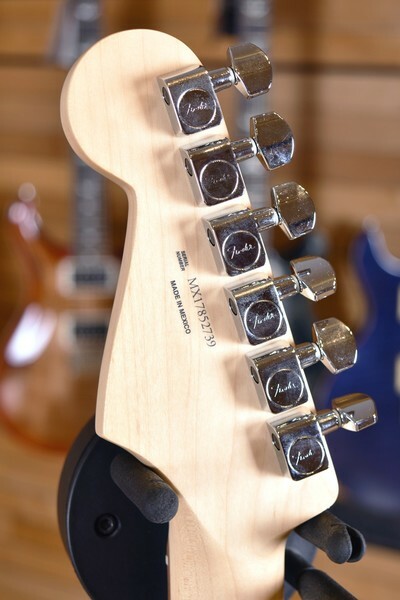 Time honored Fender style and performance-minded modern upgrades don’t have to break the bank, and this model delivers the best of both for any player.